Oh, how I still miss her. She could whistle like a song bird and make any chore fun. She was great at playing jacks, and she could grow a great garden. She led by example, with grace and faith. Her cooking was delicious even if my dad would teasingly only give her an eight out of ten score for the top notch meals. She worked hard and well, not cutting corners or doing things part way. She rode motorcycles and ice skated and crocheted and sewed and fished and camped and joined in whatever Daddy led her to… She laughed. She sang. She had strong faith. She hugged her children, but we listened when her “dog voice” was used. She nursed her husband through his battle with cancer. She was my mom, but she became my friend. Still miss you. Always love you. Yes. Moms are special and we need to keep talking about them when they are no longer with us. 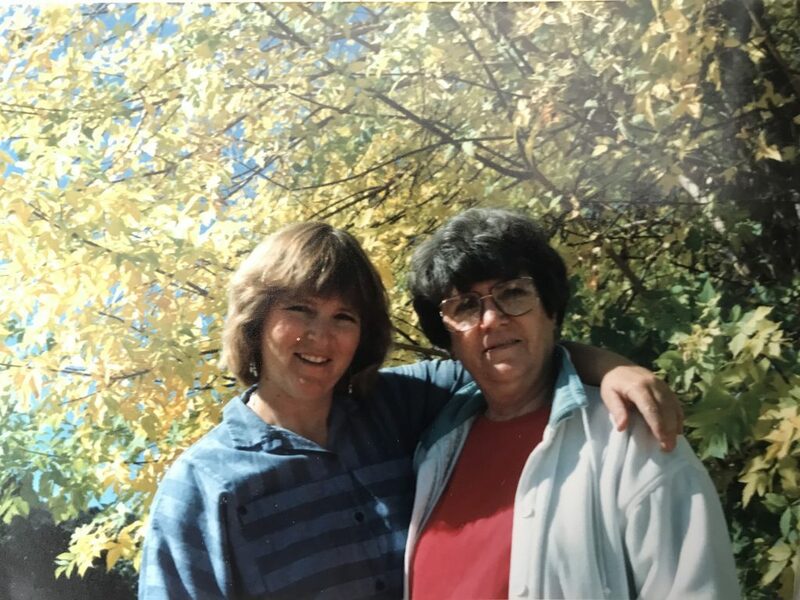 My Mom and her Mom never saw their grandkids, but no matter, we talk about them as they are part of the family and our history. Lovely photo of you both. Aren’t we the lucky ones that had wonderful mothers! This is beautiful. I miss her too. What a lovely tribute. She sounds like a neat lady, and maybe, not a little like my own mother-in-law, whose first date with my father-in-law involved waterskiing — and she had never gone before! Always able to roll with it.